Hey there! Thanks for dropping by sugarlandcocyoungadults! Take a look around and grab the RSS feed to stay updated. See you around! 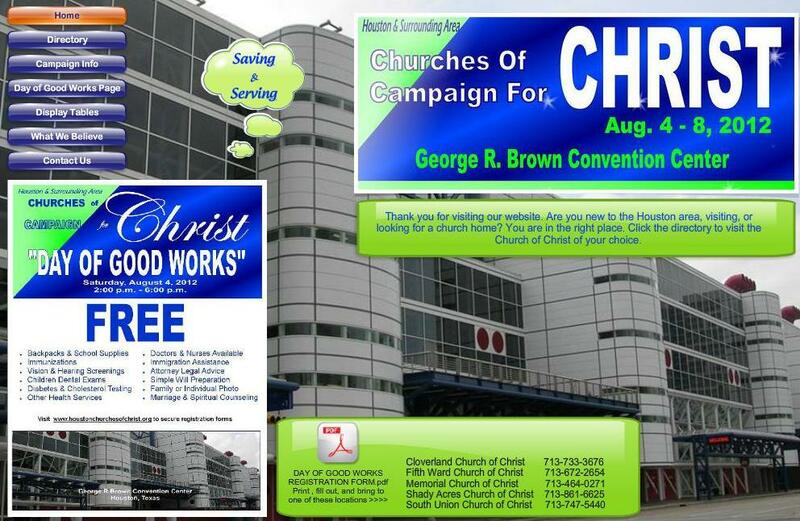 The Campaign for Christ’s Day of Good Works will be held on Saturday, August 4th at the George R. Brown Convention Center. If you know anyone who is in need, please visit http://www.houstonchurchesofchrist.org/ for more information. Come join us for our Family Enrichment Workshop at the Sugar Land Church of Christ. The workshop is geared towards singles, married young adults, single-agains, and seasoned married adults. The workshop starts Friday, September 16th at 7p and will continue on Saturday, September 17th at 9am, concluding with our Kin Day activities on Sunday, September 18th. There is no cost, so please come out and join us! The men of Sugar Land Church of Christ will be hosting a Men’s Retreat October 6-8, 2011 at the T-Bar Resort (http://www.tbarm.com/). The cost is $260 (you can pay in installments). If you’re interested, please contact Bro. George Walker or Bro. Ricardo Cisco. The ladies of Sugar Land will be hosting a Ladies Retreat October 21-23, 2011 at the Embassy Suites – San Marcos, Texas. The cost is $295 -$215. (The cost varies based on room occupancy and transportation.) If you’re interested, please contact Sis. Brenda Campble or Sis. Ruth Beaty. Church of Christ Gospel Meetings are powerful uplifting events, to edify the saints and save new souls by sharing the word of God. 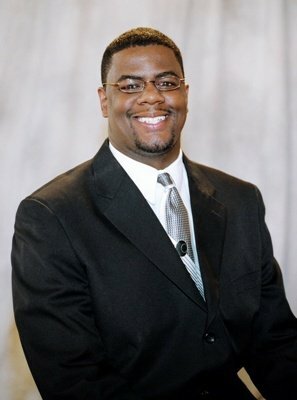 The speaker for the meeting is Peter N. Martin, Jr., he was born to Peter N. Martin, Sr. and Hope Y. Martin on March 9, 1978 in Indianapolis , Indiana . He was baptized in January of 1990 and began preaching the same year at the age of 12. He is a graduate of Arsenal the Technical High School in In…dianapolis , IN. He attended Southwestern Christian College from 1998 to 2002 where he graduated with his Bachelor’s of Arts in Bible. On January 5, 2002, Peter married Nichelle Cassandra Songs of Houston, Texas. He now preaches for the Dellcrest church of Christ in San Antonio, TX. This is a Great opportunity to come and learn a portion of God’s word and also request one on one teaching to ask specific questions that have challenged you in your spiritual growth or obeying of the Gospel to gain salvation. This event is a platform to get there…. Join Us! This month's Friday Night Lights will be at the home of Bro Richard Blount...come out and fellowship with us!